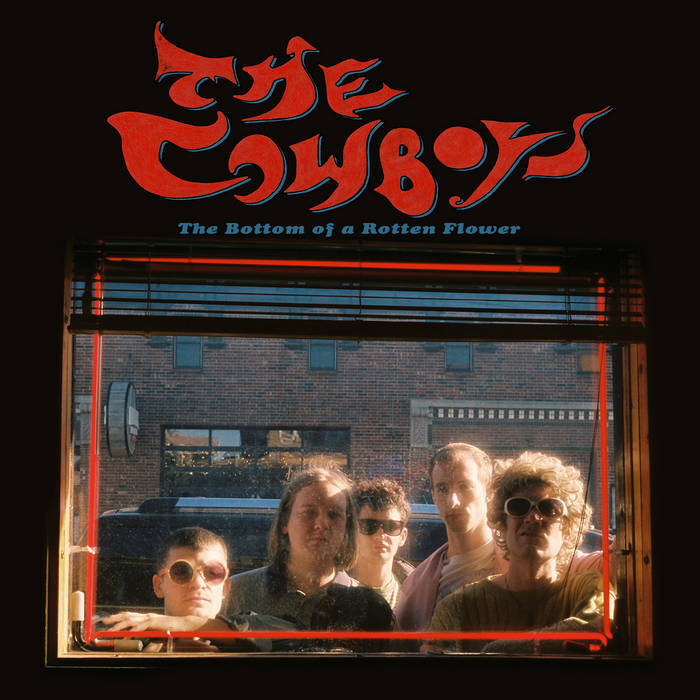 "The fourth album by the Cowboys (from Bloomington, Indiana) is kinda like a modern Midwestern version of THE WHO SELL-OUT or SOMETHING ELSE BY THE KINKS--a basic R&R band stretching its wings to embrace more varied musical elements and dig into deeper subject matter. The Cowboys grow up! And they grow in number too, with Chris Kramer (Nobunny/Slushy) joining the brilliant Mark McWhirter for a killer guitar team. Vocalist/songwriter Keith Harman alters his whooping nasal-punk a bit, with a more naturalistic approach when it fits the mood. His songwriting skills are mighty. Zackery Worcel (bass) and Jordan Tarantino (drums) provide a solid, relentless groove. There are 16 hooky gems in this new LP. To compare the Cowboys’ songs to Pete Townshend and Ray Davies was no casual thing up front. Check “Doghouse Rag” for primo late-60s Kink-kwality pop. Then there’s the insanely hooky “Some Things Never Change,” with its nod to early 70s Sparks. This song should be a smash hit RIGHT NOW! And dig “Bodie, Don’t Jump” in all its bubblegum glory! The deceptively short “Deuce” with its 70s-style pop exploding into VU-like noise, etc. It’s very cool to see a modern R&R band progress in the true sense of the word--to mature and seek new horizons. I’ve personally seen them when they opened the very first show by the reunited Gizmos in 2014, and then when they played with us again in Chicago 2017, to this new album. It’s an impressive climb. For anybody into garage-rock or power-pop, this has gotta be an instant CLASSIC! But I’m just gonna call it rock’n’roll." --Eddie Flowers, Vulcher Magazine/The Gizmos. Black vinyl second pressing of 300 copies. Packaged with a black polylined dust sleeve, 11x17 insert, and digital download code.